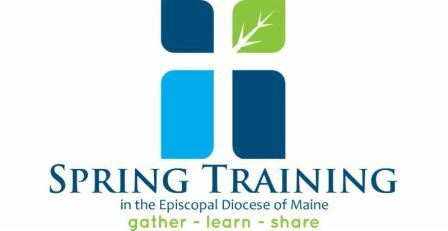 Last April I was very pleased when 150 Maine Episcopalians from 36 congregations participated in our diocesan education day, Spring Training. This year I hope the good word has spread and many of you and your fellow members will attend Spring Training 2017 on Saturday, April 29. 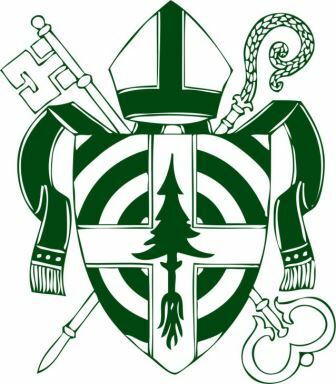 Registration is now open and all members of the Diocese of Maine are invited to attend. We are grateful to St. Paul's in Brunswick for again hosting the day which will run from 9 a.m. to 3:15 p.m. Participants are offered the choice of 21 workshops in areas such as spiritual growth, formation, music, communication, church leadership, outreach and more. We'll pause at mid-day to gather, worship, sing, and hear more about change in our wider culture and the role the church may play in our communities. My hope is that Spring Training 2017 will help to prepare us to take our place in The Jesus Movement. I ask your help in sharing the opportunity by forwarding this email to your membership and sharing this flyer or this bulletin insert as widely as possible. I look forward to seeing you on April 29. If you'd like to share a ride to Spring Training, St. Dunstan's, Ellsworth, is looking into renting a 12-passenger van to transport folks from our area. If you're interested, contact Mother Johanna Johannson at abishag51@yahoo.com. Easter Flowers: If you wish to remember or honor a loved one with flowers on Easter Sunday (April 16), please complete the form enclosed in Sunday's bulletin and return it to the church office or sign up on the sheet in the undercroft. The names will be printed in the Easter Sunday bulletin. Lent Forums: Father Tim and Mother Kathleen continue the book study on The Return of the Prodigal Son by Henri Nouwen. There are still some books available in the office ($10). The Way of the Cross: as a Holy Week devotion, join in a prayerful, imaginative experience of the final hours of Jesus' earthly life. We will pray, chant, and observe silence with the fourteen stations colored by folks from both parishes this Lent. Tuesday, April 11, 5:30 at St. Saviour, and Wednesday, April 12, 5:30 at St. John. Remember to stop by and color our panels. Eight pre-printed panels depicting the Scriptural Stations of the Cross are laid out on a table in the Common Room, and are available for quiet coloring anytime. Come and color as little or as much as you want, when you want. Markers are provided. Saturday, April 29, 2017, Spring Training at St. Paul's, Brunswick. This is the primary teaching and training event of the Diocesan year, when folks from all over gather to exchange wisdom and knowledge in workshops about being the church today. More than twenty workshops to choose from, with more information [here]. Bible Study in March and April: A 5 week study program based on a book by Max Lucado titled: "He Chose the Nails" on Wednesday mornings at 10:00 am. Contemplative Prayer Group: Tuesdays at 4:30, join Father John in exploring the practice of Christian meditation and contemplative prayer. Meetings will take place in St. Mary's Chapel and will include instruction and practice in this ancient form of prayer. While not required, recommended supplemental reading is Into the Silent Land: A Guide to the Practice of Contemplation by Martin Laird. Coffee's On: The Maine Sea Coast Mission, along with many local service organizations (including St. John's) hosts a free coffeehouse gathering for seniors on the first and third Tuesday of each month from 9:30 to 11:30 am through April at the Mission's Colket Center at 127 West Street in Bar Harbor. They provide an opportunity for coffee, goodies, music and fellowship during the long, dark winter. All MDI Seniors are welcome, and transportation is available. Call the Sea Coast Mission at 288-5097. On Saturday, April 1, women from the midcoast region are invited to St. Margaret's Episcopal Church at 95 Court Street in Belfast to learn how saying "yes" to opportunities to serve can transform one person's life. Gather with Heidi Shott, Canon for Communications and Advocacy at the Episcopal Diocese of Maine, as she share her journey of staying open to possibilities to become involved, sometimes messily, in the lives of others. The program begins with refreshments at 9:30 a.m. In addition to her advocacy work with the Episcopal Diocese, Shott serves a mentor for youth offenders with the Restorative Justice Project of the Midcoast and as the legal guardian of a teenage minor asylum seeker from East Africa. "Those times when I've opened my life to possibilities outside my comfort zone have led to fascinating and rewarding opportunities and rich relationships," said Shott, who will also share a multimedia presentation of recent trips to Jordan, Palestine, Israel, and Turkey and the surprises she found there. Seating is limited so please call to save a place: Susan Mayer, St. Margaret's Outreach Coordinator at 338-6436 the church office at 338-2412, Tuesday through Friday, 9 a.m. to. to noon. Plenty of on street parking as well as behind the Parish Hall. Keep in your prayers this week: Denae Reath, Marcia Murphy, Mary K. Parkman, Sophie Pooler, Pete and Anna Welles, Joan Preble, Andrea Horner, Robert Dudley, Nicole Burnett, Steve Bell, Eileen Dunn, Karen Pike, Sherry Warner, Adam Temple, Malcolm Hughes, Herb Hasenbalg, Jack Weisner, John Cronin, Bob Theriault, Ron Martin, Lydia Thayer, George Swanson and Sharon Dayana Salazar, our sponsored child in Costa Rica. Stations of the Cross panels depicting the Scriptural Stations of the Cross are laid out in the Common Room and are available for quiet coloring any time. There is only ONE panel finished. There are seven more to do! And coloring can be very meditative. Come and color as little or as much as you want, when you want. Markers are provided. During Holy Week, we will mount and hang the colored panels in the church, where we can use them for the Devotion of the Stations of the Cross. There are hundreds of daily Lenten Meditation resources available on the internet and in bookstores, focusing on many different ways of experiencing Lent. I'd like to recommend two: Episcopal Relief and Development has been publishing Lenten Meditations for years, calling us each day to remember those in need of help, and exhorting us to see the spiritual joy in partnering with them to "heal a hurting world." Their daily devotions are available in booklet form, for PDF download, or daily email delivery at http://tinyurl.com/ER-Dlent2017. The Anglican Board of Mission is an analogous agency of the Church of Australia. They have published a beautiful Lenten Devotional called "Into the Desert," meditating on the spiritual and physical experience of the desert which is so integral to Australian identity, and which may be strange and challenging to us. It is available in book form, or as a free iPhone/Android app at http://tinyurl.com/desert2017. This is the devotional I hope to follow this Lent. Inviting you to a Holy Lent, Fr. Tim. CANCELLATION: Tonight's Lenten event cancelled!